Michiana is ideally located and packed with flavor and fun! This town is tucked between Indiana and Michigan. It borders Lake Michigan and is less than an hour drive from Chicago and South Bend. Michiana is lined with small, funky beach towns and is filled with delicious local restaurants, breweries, wineries, and a thriving art scene. Top off your night with a performance at the Acorn Theater next door, which features local and national acts. Prefer to opt outside and interested in hiking instead? Head to Warren Dunes State Park for some beach time and stellar dune- top hike views. The campground has modern bathrooms with fancy hot showers and wooded campsites right by the beach! New Buffalo, MI is your quintessential beach town located right off the South Shore train line to Chicago. If you’re looking for a way to combine the big city with a family-friendly experience, then you will love making a stop here! Start your beach adventure with a cuppa joe at David’s Delicatessen & Coffee then skip down to Barney’s store to pack your picnic basket for a day at the beach. This small grocer carries natural, organic, and prepared foods all within walking distance to the beach. You can go down to the lakefront for lunch or drive a few miles out of town to the Third Coast Paddling kayak drop-in spot for the Galien River. Had enough adventuring for one day? Relax, and grab a bite to eat! You can't go wrong having dinner at The Stray Dog Bar & Grill ; creative American cuisine and a rooftop beach-view patio. Afterward grab an ice cream cone at Oink’s Dutch Treat. Note: this place is cash-only so bring your wallet or use the ATM inside. In the mood for pizza and willing to drive for a delicious pie? About 15 minutes outside of New Buffalo is our favorite: Stop 50 Wood Fired Pizzeria. The owners will treat you like regulars, and the traditional wood fired pizzas are on point, not to mention the homemade gelato tastes straight outta Italy. Definitely put this place on your list! 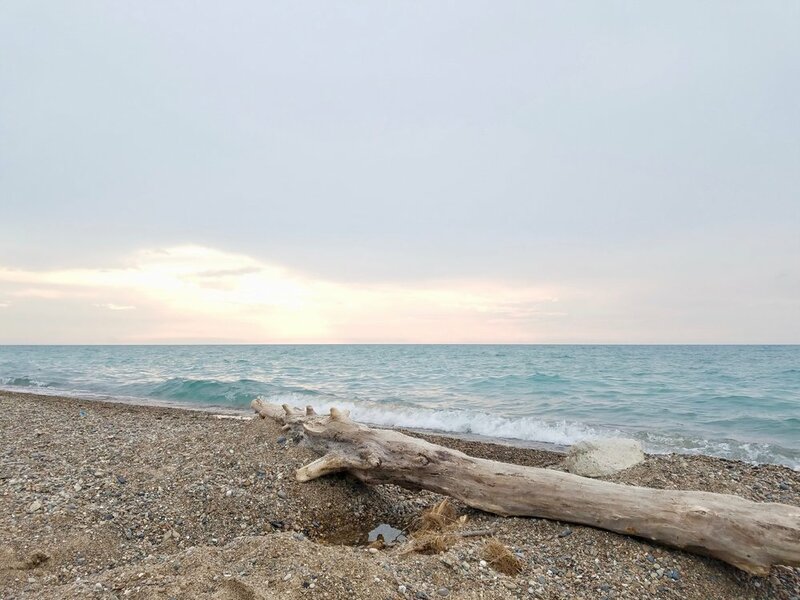 Chesterton, IN is located right outside of the Indiana Dunes State Park and National Lakeshore where you can experience miles of shorefront and dune hiking right off the South Shore line into Chicago. Check out Kemil Beach; a local favorite and as double-bonus - it is free! It’s right down the street from a series of funky, historic homes from the 1933 Chicago World's Fair Century of Progress Homes. These homes are only open for tours once a year in the fall, so try to coordinate your trip with this tour and the autumnal show of leaves over the dunes. 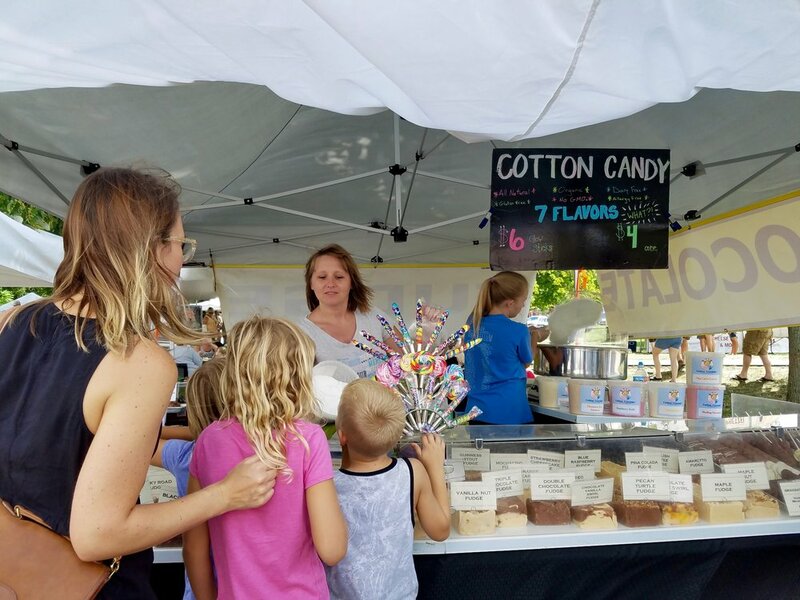 If you visit during May-October, check out the European Market in downtown Chesterton for local wares, farm-fresh foods, and a French patisserie shop run by nuns with to-die for chocolate croissants! Belly still rumbling? Plan for dinner at Octave Grill, a tiny restaurant with grass-fed burgers and craft cocktails. Follow up with dessert at Dog Days Ice Cream, an old-fashioned parlor right on the square. Vegan? We've got you covered! Red Cup Coffee and Third Coast Cafe offer delicious vegetarian and vegan options. Not necessarily kid-friendly, but if you can squeeze in a date night, Albano’s Pasta Shop is open Thursday-Saturday and features fresh pasta made with local ingredients and gluten-free options from inside the Running Vines Wine Bar.